Adam Hall Stands SLT001E Laptop Stand. Adam Hall SLT001E Specifications. DJ Laptop Stands. Featuring a sturdy steel construction with adjustable height from 17 - 34cm the stand can be adapted to fit all laptop formats from 12" - 17". I'm selling my Adam Hall Speaker Stands. Only one year old, have supported my Mackie hr824's really well in that time Condition is Used but in excellent condition, any questions please ask, happy bidding! 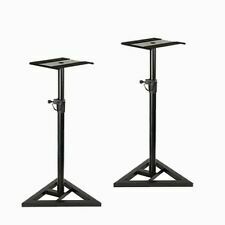 2x Adam Hall Stands SKDB039 Universal Adjustable Monitor Speaker Studio Stand. Good condition. Great stand. Happy bidding! 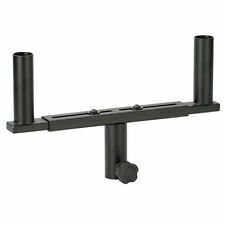 The sturdy steel construction has a black powder-coated finish; the upper tube and extensions are galvanized. A levelling foot ensuressecure positioning of the wind up stand even on uneven surfaces. 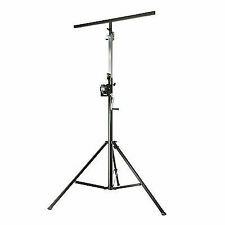 Adam Hall SWU 400 T Winch Lighting Stand 85Kg SWL 4M DJ Disco. Condition is Used. Collection in person only. Crossbar material: steel. Crossbar surface: powder-coated. Crossbar colour: black. Crossbar length: 920. Tiltable crossbar: yes. Stand colour: black. Safe load: 25. Stand surface: powder-coated. Load: 85kg. Transport length: 1735mm. Levelling foot ensures secure positioning on uneven surfaces. Number of extensions: 1. During that process you will be issued with an RMA number. Adam Hall Stands SKDB039 Universal Adjustable Monitor Speaker Studio Home Stand. Truss adapter for 35 mm tripod mounts (e.g. 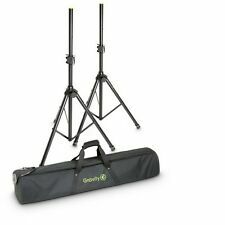 for speaker stands) with variable width (20-40 cm). Indentations for common truss systems facilitate set-up and ensure a central position. Locking pins and cotter pins are included. Microphone Stands. Speaker Stands. Microphone Pop Shield & Filter. Lavalier & Smartlav Microphone. Rode Microphone Accessories. Microphone Accessories. PA & Live Sound. DJ Laptop Stands. Lovely pair of Speaker stands by Adam Hall and in V.G.C. ,only slightly used. collect in person if prefered. Adam Hall Stands STRS 12 U 19". - Rack Stand 12 U. Rack stand 12 units high. Product type: 19" Rack Accessories. Rack bar type: with M5 threaded holes. Material: steel. Surface: powder coated. Height: 12 U.
Adam Hall SPS882 Adjustable Extendable Steel PA Sub/Satellite Speaker Pole M20. Adam Hall Stands SLT 001 Laptop Stand. Laptop stand with clamp. Product type Stands and Tripods. Type Laptop Stand. Material steel. Surface powder coated. Weight 2,4 kg. height 280 mm. The base has an anti-skid surface. Doubles as 35mm speaker stand without support. Type Speaker stand. Garden tools & Furniture. Test Connectors. Test & Detection. Door Furniture. Work & Protective Clothing. Rugged Studiomonitor Stand with Spacious Tray. Type: Speaker Stands. Tray: 280 x 280 mm. 40 kg load capacity. load 40 kg. Base type: Triangle. Base edge: 445 mm. The stable construction is made up of black powder-coated steel and carries a maximum weight of 40 kg. Loudspeaker mounting fork. Maximum load: 2 x 25 kg. Add to Favourites. The pivoting LED bar adjusts easily for optimum coverage, and the power switch includes three brightness level settings. Adam Hall Stands SLED 24 PRO. SLED 24 PRO. Stands and Tripods. Music Stand Lights. This foam stand is designed to isolate studio monitors acoustically, i.e., avoid disturbing resonances with the surface on which they stand, which results in a significantly improved sound. During that process you will be issued with an RMA number. MPN SWU400T. 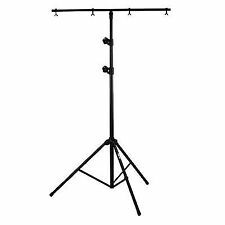 Adam Hall stands SWU 400 T - wind up crank tripod with beam black. Properties of Adam Hall stands SWU 400 T - wind up crank tripod with beam black The light stand SWU 400 T of Adam Hall is a wind up tripod from black / silver coated steel with a pull-out. Safe load: 45kg. Transport length: 1.41m. T-Bar with 28mm spigot. During that process you will be issued with an RMA number. With the height adjustable between 17 to 34cm and widths from 22.5cm. During that process you will be issued with an RMA number. Country of Origin: China. Adam Hall SLT004 Laptop Stand. Tray size: 140 x 170 mm. We will always go out of our way to source the product you are looking for. Book plate size: 290 x390 mm. Established since 1998. 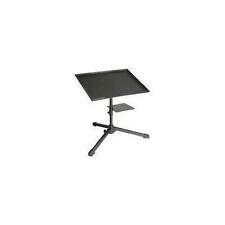 Rugged Studiomonitor Stand with Spacious Tray. 2x Adam Hall Studio Monitor Stands. Type: Speaker Stands. Tray: 280 x 280 mm. 40 kg load capacity. load 40 kg. Base type: Triangle. Base edge: 445 mm. 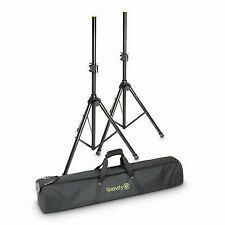 Foldable boom arm mic stands with tripod base. Slight scratches to the base of 1 stand where the tripod legs attach to the main pole where used for photograpy purposes. All stands are new and unused. Adapted for all laptop formats (12" - 17"). Material: Steel. Surface: White coated. Adapted for all laptop formats (12" - 17"). Material: Steel. Add to Favourites. 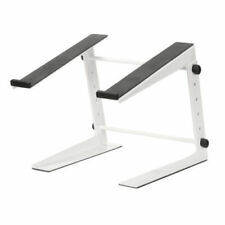 Adam Hall Laptop Stand - White. Its simply been sat on my desk holding the laptop. Unmarked glossy white, Just light Preasure marks on the foam from the laptop. Safe load: 30kg. Transport length: 1.26m. T-Bar with 23mm spigot. During that process you will be issued with an RMA number. The base has an anti-skid surface. Doubles as 35mm speaker stand without support. 23 x 23cm support with non-slip surface. During that process you will be issued with an RMA number. Durable black powder coating. Adjustable tilt. Suitable for mounting to walls. 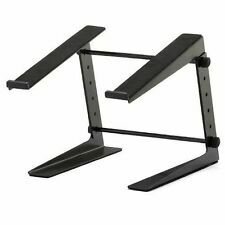 Adam Hall Stands SLT001E Laptop Stand. Flexible laptop stand with adjustable height. Adapted for all laptop formats (12" - 17"). Gig Bag for Double Keyboard Stand SKS22XB. Adam Hall Stands SKS 22 XBAG. 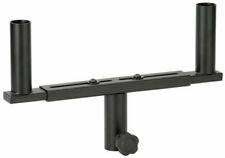 Stands and Tripod Accessories. Speaker Wall Mount. Colour: White.